Monthly Must-Have: ShaBoom Goddess Kit (20% off) - Fighting For Your JOY! 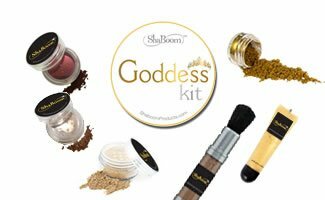 ShaBoom Products Goddess Kit $77.00 (orig $96.00) & free shipping. This 6-item bundle that’ll make you dazzle and glow—while saving the lives of mamas and babies receiving care through OneMama Clinic programs in Uganda. Let us keep you looking radiant this 2015! Receive 20% off you order now by ordering through Amazon Project Smile.